A remarkable combination of luxurious amenities combines with the culture and history of the Tamayame people to create an outstanding resort experience. In addition to the pampering services of our award winning spa, championship golf and unique activities, guests will be delighted with our attention to detail and welcoming staff. We invite you to take advantage of all we offer at our extraordinary hotel. Fashioned after New Mexicos celebrated pueblo-revival architectural style, Eldorado Hotel is lavishly decorated with beautiful southwestern artwork. In the heart of Historic Downtown Santa Fe Experience the magical city of Santa Fe and its wonderful blend of Native American and Spanish cultures. In Spanish, Eldorado means �The Golden One�. For guests, Eldorado means a memorable visit graced by the art of hospitality. 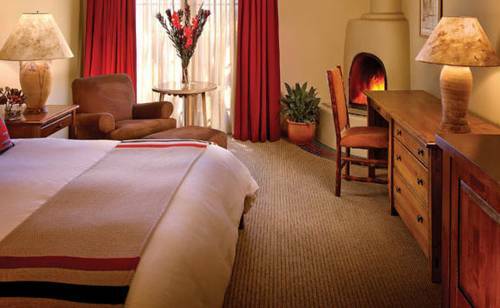 Situated on a six landscaped acres in downtown Santa Fe, La Posada de Santa Fe is a luxury resort and spa with 157 adobe-style rooms. 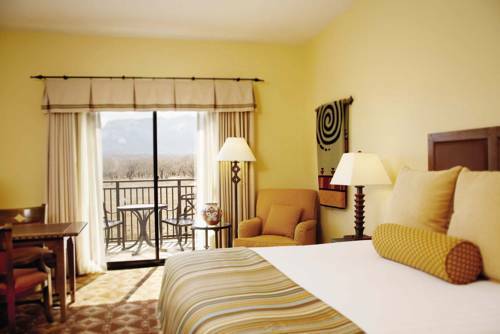 Southwestern charm and New World luxuries bestow an atmosphere of elegance and comfort on this historic retreat.